As part of our commitment to making our products and services as easily-accessible as possible, BS Stainless are pleased to announce the launch of our new online shop. From here, anyone can access our range and always at the most competitive price. Cost-effec­tiveness is key at BS Stainless; we aim to provide our customers with the highest-quality products at the lowest realistic price, facilitating projects and allowing users to achieve the most professional results every time. All of our products are manufactured to impeccable standards and are designed to adhere strictly to all official health, quality and safety specifi­cations. Our new online shop features several of the most popular products currently available from BS Stainless and we will keep our newsletter-subscribers updated as further items are added. Simply enter your email to receive our regular newsletter and make sure you never miss any of our updates, special offers and industry news. Stainless steel banding is used across a wide range of industries to provide a superior fastening system. Combining durability and strength, BS Stainless have developed their own brand Bandfix® the 201-grade stainless steel banding is UK-manufactured and, like all stainless steel products, offers strong resistance to corrosion. We are proud to supply Bandfix® stainless steel banding, in a range of sizes, that has a safe edge to dramatically reduce the possibility of injury to the user. 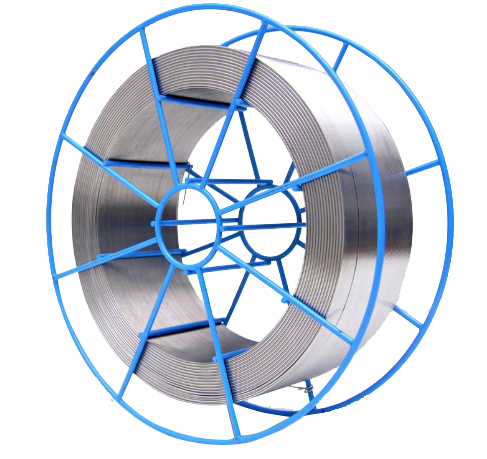 Stainless steel welding wire also features in our new online shop. Another product that has great versatility and is therefore useful to a large number of diverse industries, stainless steel welding wire is available from BS Stainless in many choices of grade and size, meaning finding the perfect product for any project is a matter of simplicity. Please enjoy browsing our new online shop and do not hesitate to contact our experienced team on +44 (0) 1772 337555 or email info@bsstainless.co.uk for further information and support. BS Stainless - your partner for stainless steel.